The word Tzav means commandment. We can go through the process by a path of suffering, taking blows. This way is neither respectable nor desirable in the eyes of the Creator or the creatures. But there is another way. We can go through the process recognizing and understanding that we are being led to discover the upper force, and we are being raised to a higher dimension. The crisis and the suffering we feel in this world were intended to push us to develop to a higher level, the human one, which resembles the Creator. There are many stages in this work. Some stages are called “the nations of the world,” and in them we scrutinize our desires and slightly correct them on the level of “nations of the world,” in whom there are seven Mitzvot (commandments). Only then we reach the degree of Israel, meaning Yashar El (straight to the Creator) where we can already direct ourselves toward the Creator. Keeping, or observing Mitzvot (in Hebrew it is described as “making”) means performing corrections on our desires. From the 613 desires that belong to the work of Israel we achieve the degree of Levites and the degree of priests. Thus we go through the Yod–Hey–Vav–Hey from below upward, from Malchut through Zeir Anpin, Bina, Hochma, and Keter until we achieve Dvekut (adhesion) with the Creator. This is the entire order of the work that the Torah describes, and is presented in the Babylonian Talmud. The offerings are a more complicated issue. It is in fact our entire work. Making an offering means nearing the Creator through consecutive corrections on our desires. We gradually approach the Creator with corrections that begin with the easiest desires and continue through the hardest, heaviest, and most egoistic ones. These are desires that we sort within us and determine how to correct them. This is why the text mentions body parts, oil, time, movement, places, and a mention of the force by which we correct, and in what state. We must also keep in mind that it all concerns only our inner structure. We are immersed in an ocean of upper light, which is the Creator, as it is written, “The upper light is in complete rest,” and all the changes appear only to us, who are inside the light. If we do not feel that the light, the Creator, is filling the whole of reality, it means we are in “double concealment.” That is, we have no sensation that something is hidden from us. The first degree we reach is the sensation of concealment, that something is hidden from us. Today the whole of humanity is beginning to perceive it. Scientists and psychologists are beginning to see that the world is round. They speak of a single force that closes in on us and controls us, that there is a unified guidance and governance, and the world is tied in harmony by fixed laws. It is written, “He has given a law that shall not be broken” (Psalms, 148:6). Like it or not, we will eventually have to approach that law, study it, replicate it to ourselves, and keep it. If we want it, good. If we do not, we will be forced to accept it by blows, as many stories in the Torah describe. The Torah tells us about bad things that will ostensibly happen if we do not do what we should. It is necessary to have the recognition of evil and its disclosure. It is written, “I have created the evil inclination,” so each time the evil inclination must appear, and we must correct it. We can discern the evil inclination only if we fall into it. But if we come prepared we will not mingle with it or fall under it, but control it and correct it. This is actually why we were given the Torah. The whole world is approaching that recognition. Many scientists already maintain that we exist in a circular system, that there is one force of nature that is acting on us and demands that we adapt ourselves to it in a global and integral world, in harmony and balance with nature. They are already talking about holism and other such phenomena, so there are already some excitement and impressions, and approaching the truth. First we must obtain the recognition that there is truly something hidden from us. This is considered “concealment,” and it is good; it is the sensation of exile. When we are in exile, we feel it by the contact with the upper force that controls us and acts on us. It is so although we do not feel how it works or how it controls us; we do not understand its commands nor know what it wants of us. In fact, even if we did, we would not know how to do its will, we would be incapable of improving our situation. Internally, we recognize that if we do not know it, it will be a terrible loss. The whole world is gradually advancing toward this recognition and understanding. When we say “Him,” are we referring to a superior law or to the Creator? We are not referring to an image, but to a comprehensive quality that governs us—the quality of comprehensive bestowal and love. The closer we come to it, the better we can detect it. We draw near it by establishing good connections between us, as it is written, “From the love of man to the love of God.” If we establish groups for teaching the higher nature, in order to become closer and be in brotherly love, we will begin to feel the upper force according to the law of equivalence of form, namely equivalence of qualities. Then we will discover that we truly are in exile. This is the beginning of the process. Hence, when we read the story of Esther we discover the concealment, which is the first step. As we approach Passover, a state where we feel we are in Egypt, exiled from the revelation of the light, the upper force, we have the “great Sabbath,” which stresses the importance of the sensation of exile, as it is impossible to achieve redemption without that feeling. 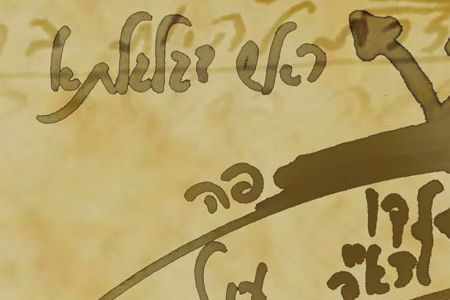 The difference between Galut (exile) and Geula (redemption) is in the letter Aleph, representing the Aluf (Champion) of the world, in which the Creator appears. Exile is the desire to discover Him, that it is Him we must attain. When we want to discover the Creator, we bring all our desires to a state where they do not stand in the way of the upper light, as it is written, “His glory fills the world.” He fills everything without our interruption. When we restrict our sense of self-importance—the ego, independence, and sense of uniqueness, our entire “I”—we feel that the Creator passes through us. Thus we discover Him. But first we have to be “transparent” and avoid being a partition, interfering with the quality of bestowal and love that prevails in the world. Then we discover that we truly are immersed in the upper light that fills everything, and we are in it. This is the degree we should achieve. It is the first stage of redemption. The nearing happens in our feelings. We come to feel we are inside the upper light that fills everything and does everything, as it is written, “He did, does, and will do all the deeds.” This is our salvation from all the crises, despair, and confusion in our lives. The offering is to the Creator. We burn it, and thus seemingly give something. Why do we not offer to each other in order to draw closer? This way we could really say that through love of others we obtain something higher. It only seems that way because of how we use our language. In the work of the offerings, a person needs to work with each egoistic desire that repels others, desires with which one wishes to exploit others and be oblivious to them. The sacrifice is to stop that desire from hindering our approach to others. As we approach others, we create a system of mutual bestowal and discover the upper light. The upper light is between us, not in us individually. We draw it and discover it precisely by creating the quality of bestowal between us. Does this nearing take place among the friends in the group? The nearing is between people, not within us. Within us we can only feel egoistic phenomena. This is why we currently feel only this world through our five physical senses. How does one offer a sacrifice from the group to the Creator? It is the same whether one corrects one’s desires toward others or toward the Creator. We all perform the correction together, among us, to reveal the comprehensive quality of bestowal and love that prevails in the world. The quality of bestowal is the Creator. It is a quality, the thought of creation. We do not aim toward a certain entity. It is difficult to explain it because in our world everything is very “down to earth,” clothed in matter, while in the wisdom of Kabbalah there is no substance, only forces. It is written in this portion that if the children of Israel do not make the offering properly they will be punished. What is the punishment? The punishment is that we will do it regardless, as it is written, “For no banished shall be cast out from Him” (Samuel 2, 14:14), and everything will return to its root. It is written in the portion, “that soul shall be cut off from its people” (Leviticus, 7:20). What does it mean? It means that a person is cut off from one’s degree. If that person was already on the level of “Israel” (Hebrew: Ysrael), meaning Yashar El (straight to God), and falls from it to the degree of “nations of the world,” that person will suffer because he or she has moved away from bestowal, love, revelation, understanding, and awareness. Hence, one must spend more time searching in an unpleasant way, and only then will he or she return. This is the punishment. When one cannot process the information properly and quickly through working on the desire with the mind, as the Torah invites us to do, it still happens but on a path of suffering. That person will do the same work but it will take longer and will be unpleasant. Similarly, if children listen to what they are told and do what they are asked well, they benefit. If they do not, they still do their chores, they have no choice, but they suffer. How can we use the topic of offerings in our approach to education? Is it the parents’ fault or the person’s? What that person can do is form an environment that will help him or her be smart and successful. The environment can help us understand the purpose of creation, how to achieve it, and how to diminish suffering. Everything depends on the environment. If we work in a proper, good, supportive environment, it teaches us how to be givers, like it. This is how we approach bestowal and love. This is the work of the offerings that a person performs. The portion speaks of priests, which indicate a very high degree. Can matters be attributed to education on this level, too? We begin from zero, from the degree of “nations of the world. Everyone is destined to achieve it. The purpose of creation is for everyone to come into this work, correct themselves, and reach the complete end of correction, called “complete redemption.” In the First Temple, the people of Israel were already at the level of redemption, Mochin of Haya. In the Second Temple we descended to the level of Mochin of Neshama. Now we must come to the Third Temple, the highest degree on the ladder of spiritual degrees, where we include the whole of humanity. If the sacrifice means coming closer to society, do we incorporate education in it, or is it a separate matter? You cannot be educated alone, only in a society. A person is taught to connect with others in a relationship that is similar to the quality of the Creator. We discover this quality between us because it is only between us that He is revealed. It is akin to changing something in a radio receiver so it receives the wave outside. The upper light is intended to reform everyone—those on the animate degree, and those on the human degree. This is why no one can say, “It’s not for me.” There must be a study of the wisdom of Kabbalah because cannot draw the light without it. This is why the wisdom of Kabbalah is called “Torah of light,” “internality of the Torah,” the light that reforms. Is it only the light that corrects? Will we never be able to correct our relationships? Never. The world is beginning to realize it. It may take some time but we are already approaching it, beginning to agree with it. It is palpable that the world is on the verge of giving up on most everything else. It is felt, and they are in the right direction. They already understand that the change has to happen within us, regardless of whether one is Jewish or not, secular, or orthodox. The change has to be substantial and equal for all—begining to correct human nature. It is fine if one follows what is called the “practical Mitzvot (commandments), but it is just as fine if one does not. In relation to the inner change we are all the same; we must all do it. Is the direction toward which the world is heading considered sacrifices? Not yet. Sacrifices begin only through the light that reforms because this is what corrects us. We are all on the worst degree, though we have yet to recognize it as the worst. We are still unaware and unconscious in regard to the evil. Babylonian Talmud, Masechet Berachot, p 61b. Rav Yehuda Ashlag (Baal HaSulam), The Writings of Baal HaSulam, p 521. Rav Yehuda Ashlag (Baal HaSulam), The Writings of Baal HaSulam, “The Love of God and the Love of Man,” p 482. Part of Tefilat Amidah (Standing (18) Prayer). Said after the morning prayer (Tefilat Shaharit), the first of Maimonides’ 13 tenets.